Heavy gauge metal frame, extra thick and durable PVC/rubber tip and grip. 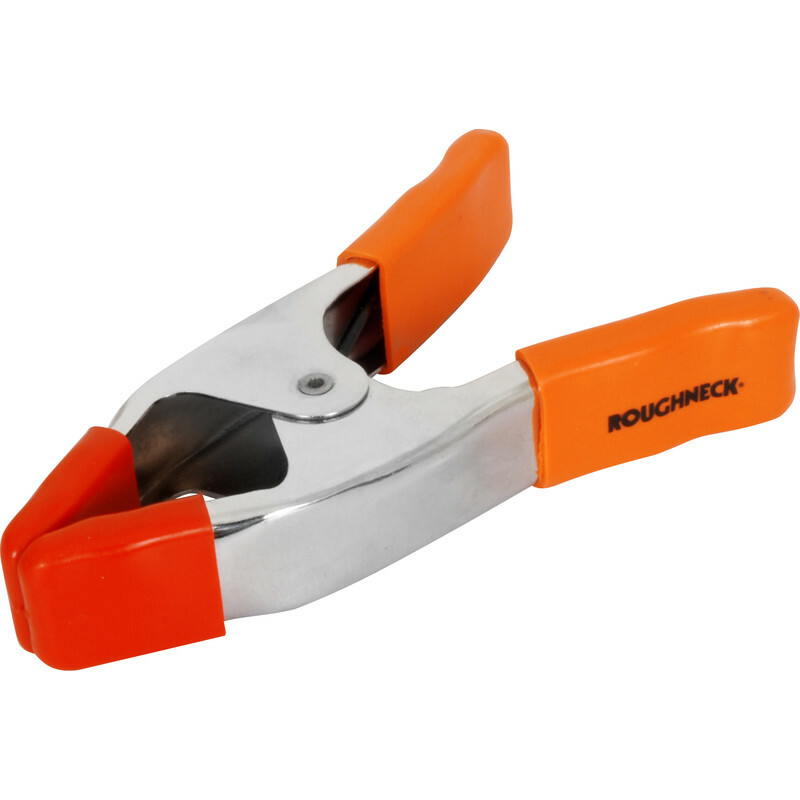 Roughneck Metal Spring Clamp 50mm is rated 5.0 out of 5 by 5. Rated 5 out of 5 by BJW15 from Great little clamps super strong and built to last Bought these for a drawing clip board Great little clamps super strong and built to last. Rated 5 out of 5 by AlexH from Worth it Bought 10 of these a week ago, the rubber covers are fantastic and the springs are a good strength. Perfect for what I needed them for. Rated 5 out of 5 by Pob49 from Does the job!! It's not often that a spring clamp will hold an item when you're drilling or cutting. These clamps however really hold well with a very powerful spring action. Easier and quicker to use than a screw clamp. Rated 5 out of 5 by Eddy99 from Excellent Great little clamps with strong jaws. Rated 5 out of 5 by Aaron from Clamp review Worked perfectly and feels like good value for money.